Introducing the all new Leyo Motorsport Oil Catch Can Kit Plus! 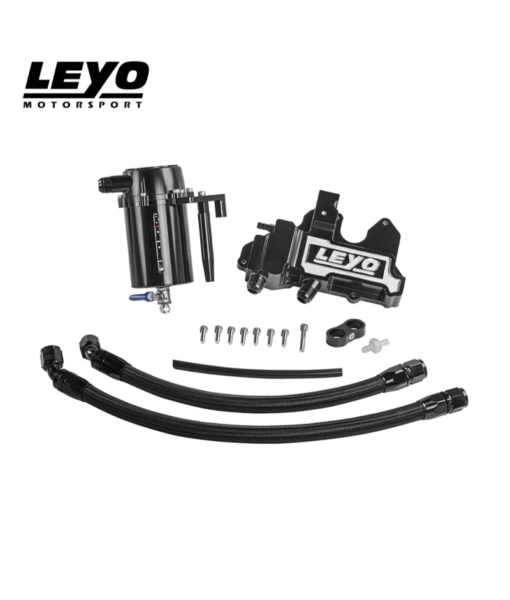 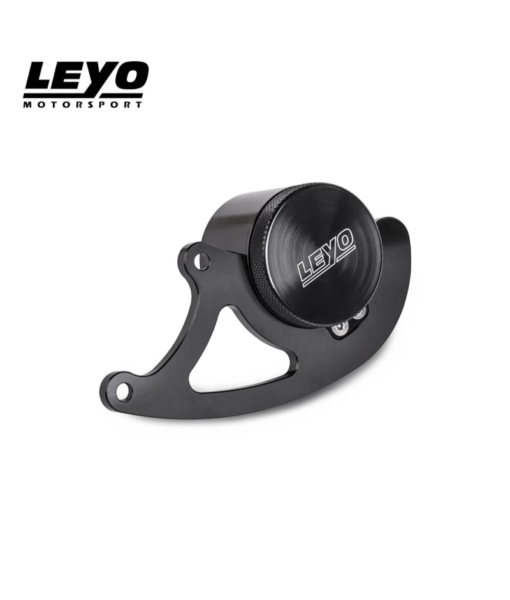 With the new washer bottle delete integrated onto our MK7 oil catch can, owners of MK7 R and Audi S3 8V can now protect your engine with Leyo Oil Catch Can Kit Plus. 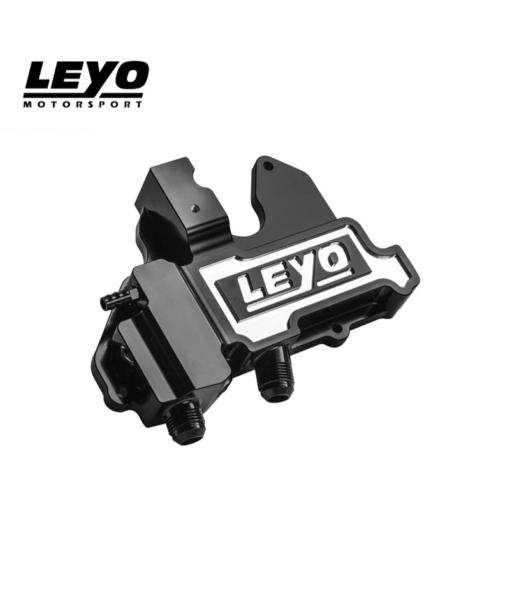 Our new washer bottle delete frees up the space taken by the top part of the washer bottle so that you have space for our Oil Catch Can. 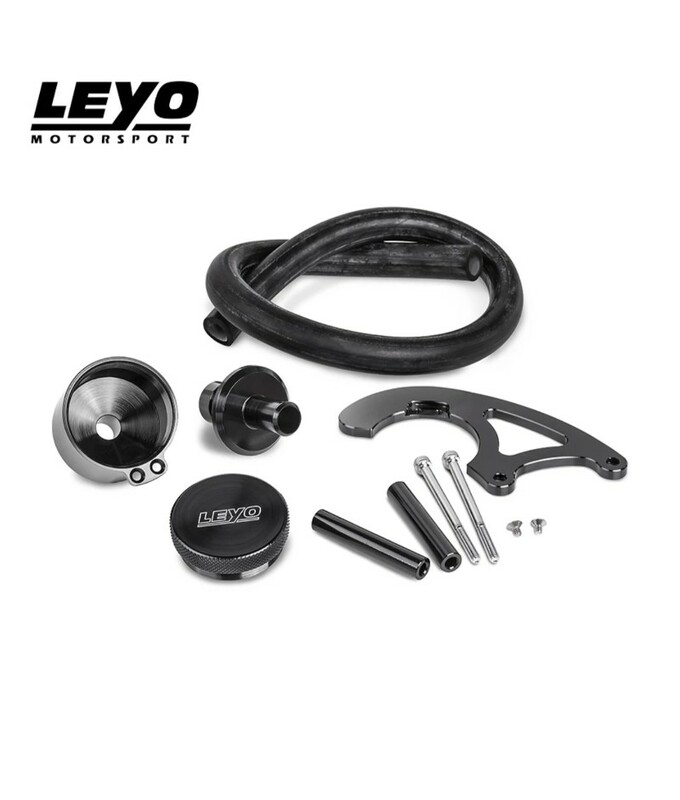 The aluminium washer bottle delete beautifully replaces the top section of the washer bottle while not disrupting the functionality of your washer. Also known as blow-by, oil vapour is produced under load, spirited driving elevates oil vapour level at an incredible rate, it is then circulated back into the intake tract resulting in carbon buildup of the intake valve, trapped oil residuals in both intake tract and intercooler. 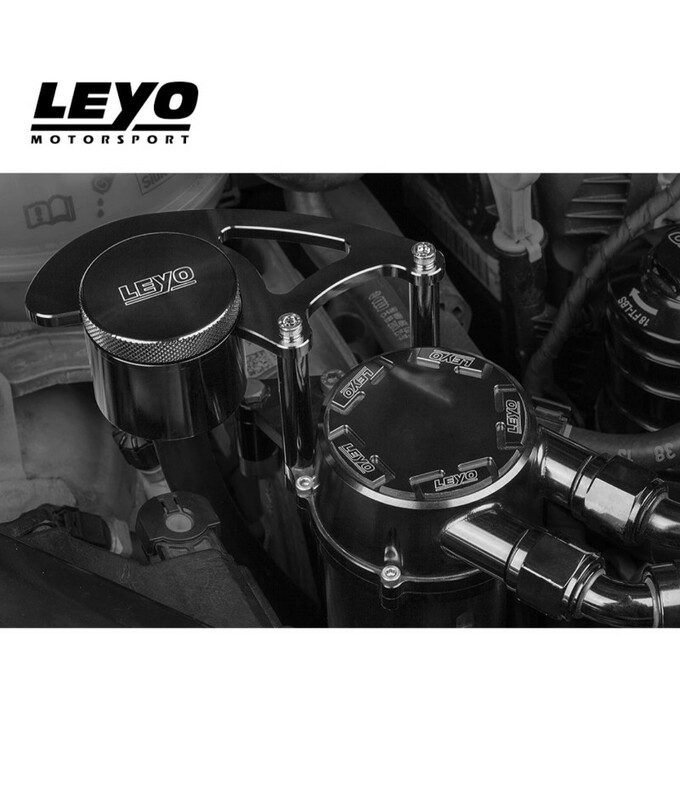 Unfiltered recirculated oil vapour will not only diminish performance, but also impose devastating effect to the engine. 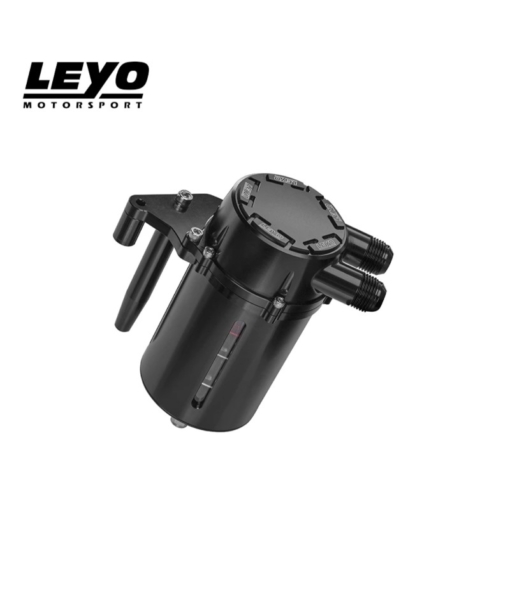 Filtration begins immediately as oil vapour enters the uniquely designed LEYO Oil Catch Can filtration system, allowing pressurised oil vapour to enter freely, accelerates condensation, effectively traps oil with specially designed perforated stainless steel plates before cleaner gases recirculates back into the intake tract. 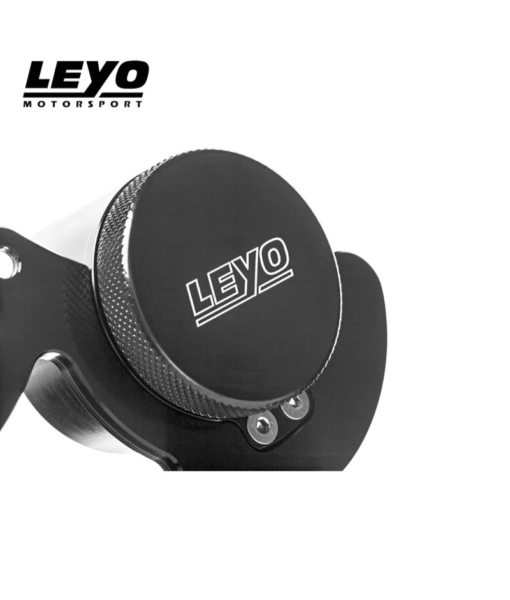 Made with T304 stainless steel and high grade aluminium ensuring rust free, leak free operation. 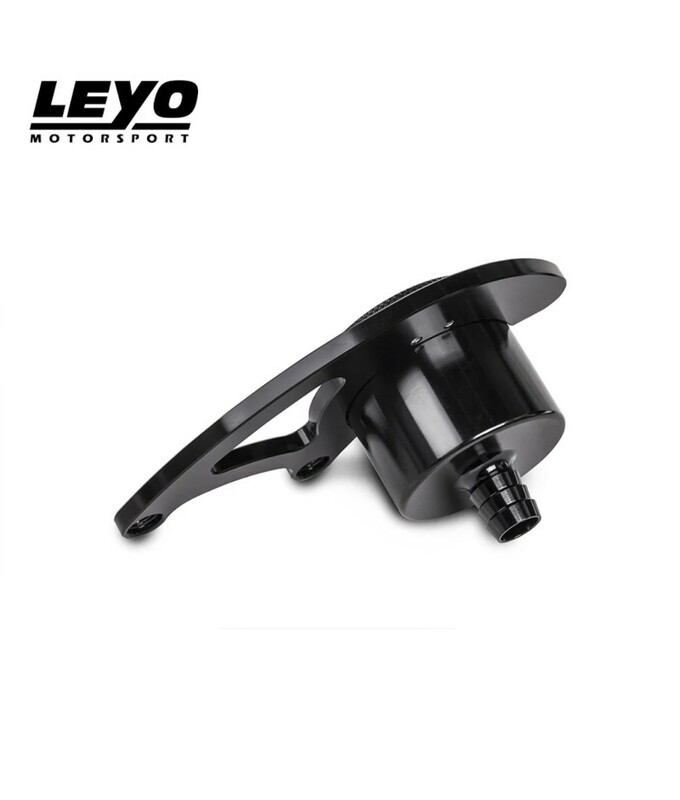 LEYO R&D team had also included exclusive glass openings for visual indication of waste oil level, with pre-installed drain valve, protecting your pride and joy has never been easier.